One of the most iconic jackets of recent years has to be Nigel Cabourns Cameraman jacket. 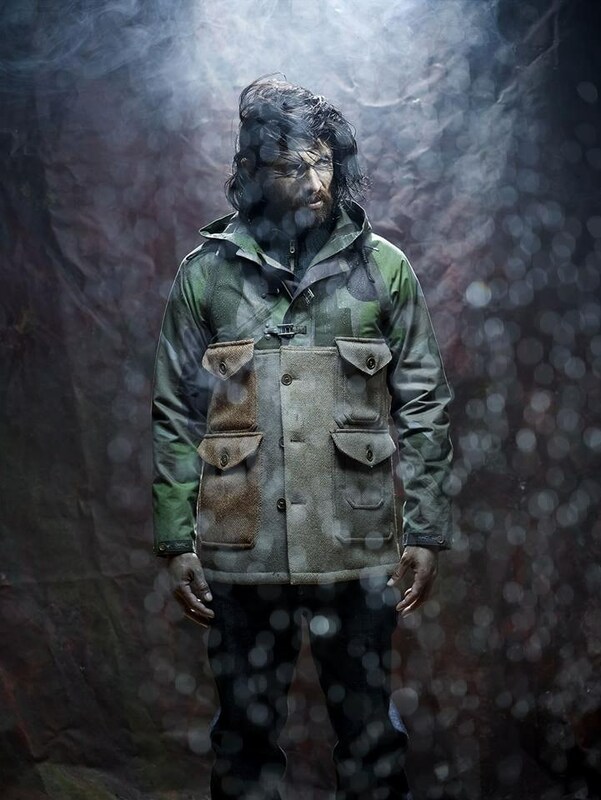 It was first introduced in 2003 as 1 of 12 pieces designed & released as the Ascent of Cabourn collection to mark the 50th anniversary of the Hilary ascent of Everest. 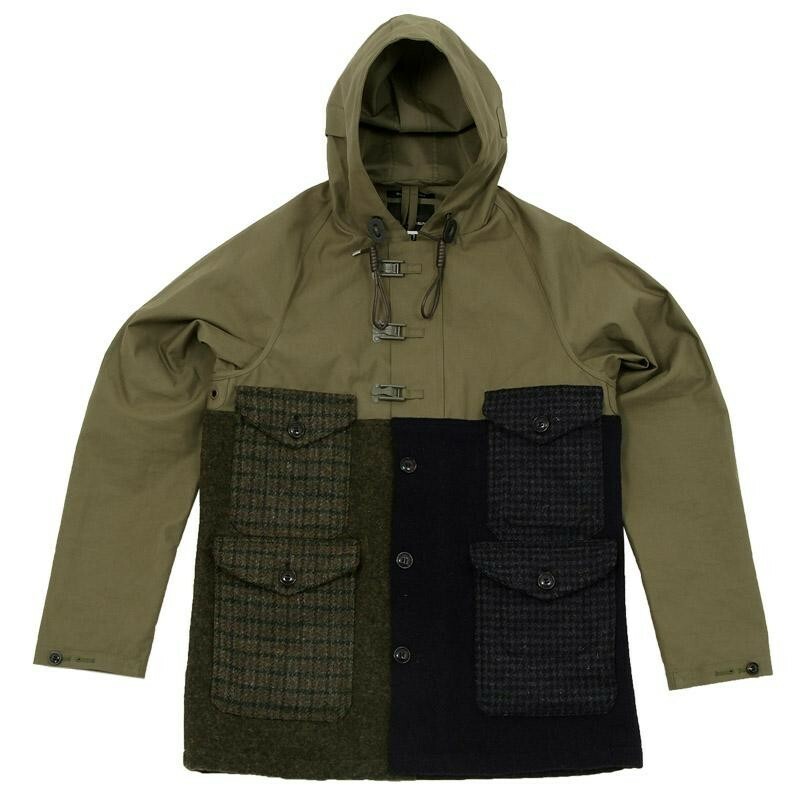 It’s a jacket that has been available every summer and autumn since then, each time in a different colourway (protip: fancy term for combination of colours, learn to use the term as it makes you sound really knowledgeable) and in various combinations of materials. 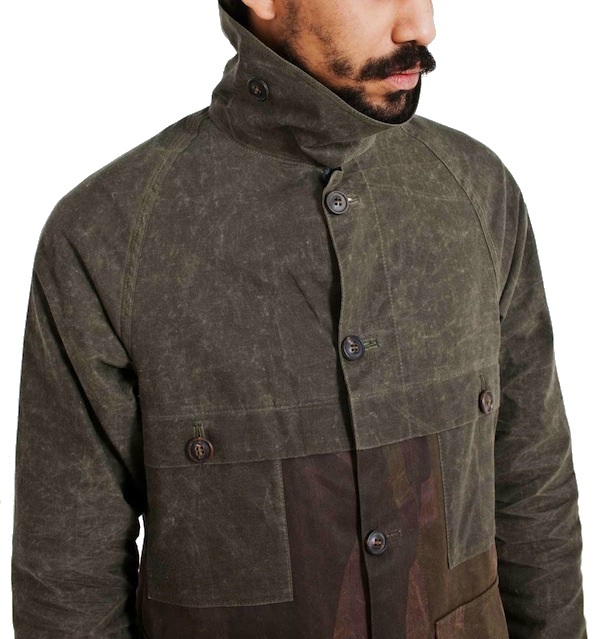 Nigel Cabourn Cameraman jacket in Macintosh upper and Harris Tweed lower parts. The probably inspiration for the Cameraman jacket. The jacket on the photo in the book was a pre-production sample and used different clips than the later production jackets. Or did the early Cameramen use non-ladder type clips? research is ongoing! Where the ladder type design comes is unknown, it could either be from a different vintage garment, or in fact an original NC design – does anyone know ? 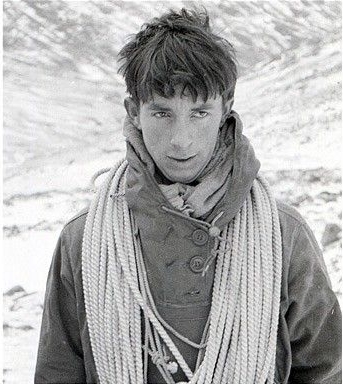 Interestingly there are photos of Wilfrid Noyce wearing the British equivalent smock which in the 30’s, 40’s and 50’s had string ties for the army version or in one photo the unusual 5 button throat fastening on the Naval equivalent both of which Nigel Cabourn has recreated in past seasons. 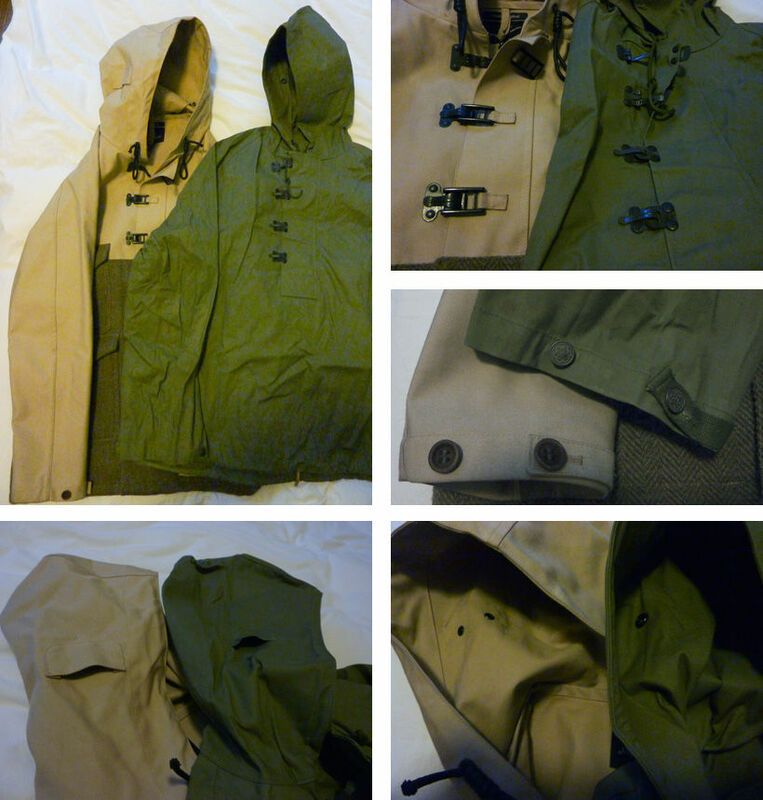 Below are photos comparing details of the Cameraman and the US Navy Parka. 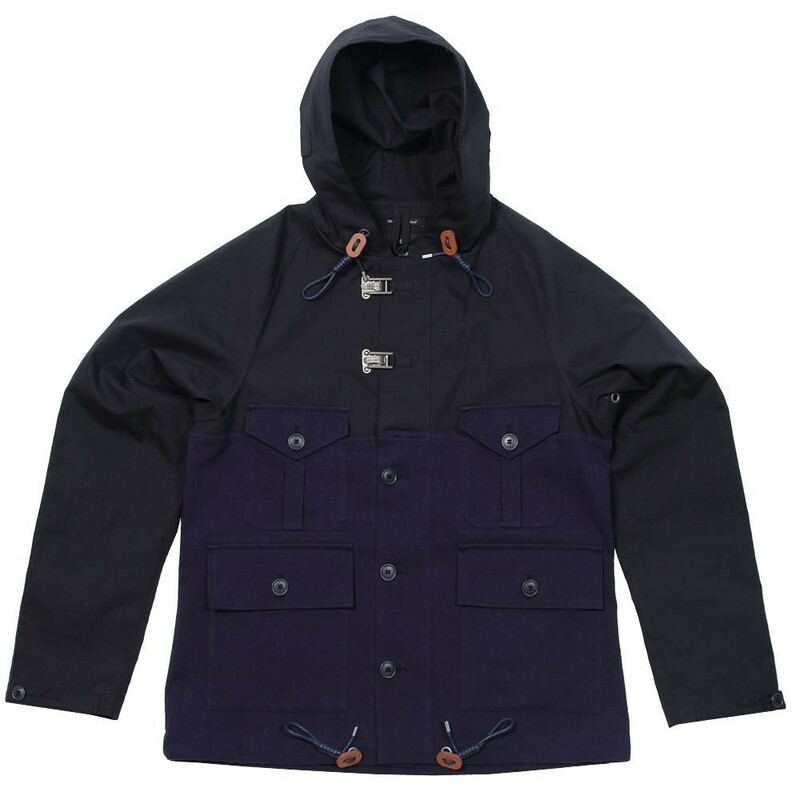 They share some obvious design details, such as the clips (four instead of three on the parka and a simpler non-adjustable system) , the covered ear-holes (two grommets on the Cameraman, one on the parka and a slightly different shape of the outside cover) and the cuff, where the Cameraman has a much nicer but similar button arrangement. 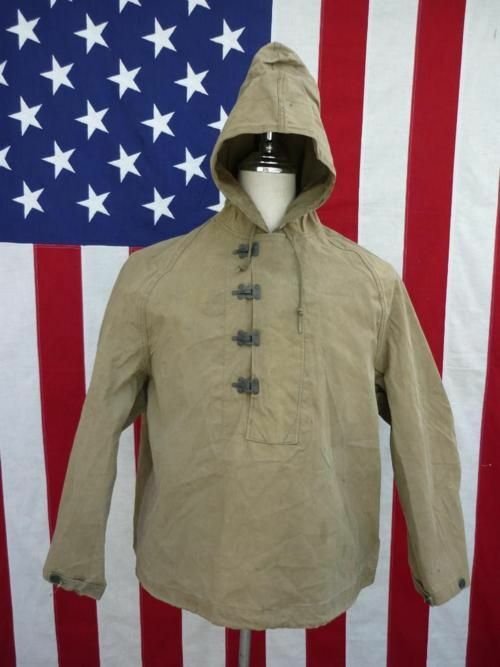 Although the cameraman has a much nicer execution it seems to follow the general design in such a way That it is quite plausible that this particular parka is the inspiration for the top part of the jacket. 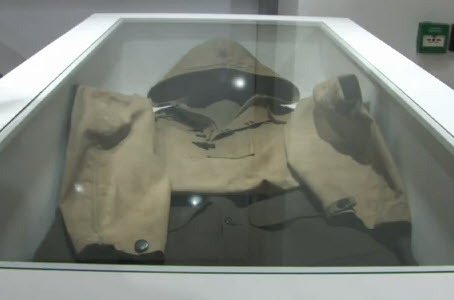 The “story” behind the Cameraman style is that it is inspired by a jacket worn by Wilfrid Noyce on an Everest expedition. The Autmn/Winter (or AW, as the pros say) Cameraman jacket has an upper made of Mackintosh, and a lower made of Harris Tweed, to keep the wearer warm in colder conditions. 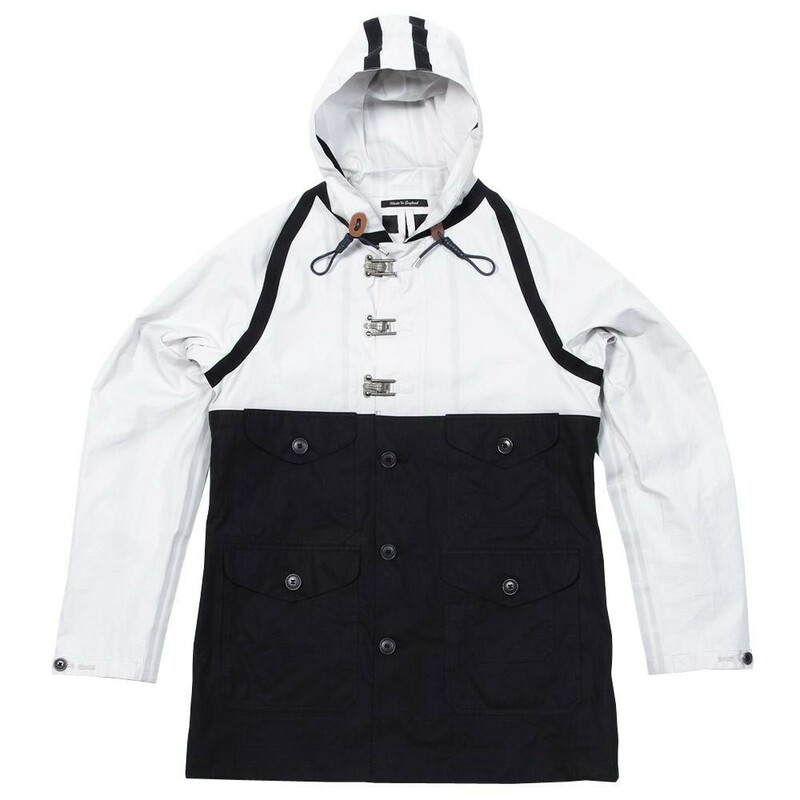 It features specially made metal clips, and waxed cord in the hood and hem. 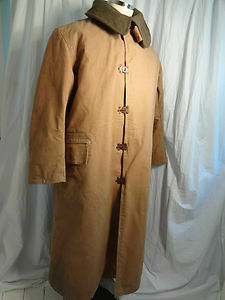 The Spring/Summer (or SS, if you like) Cameraman jacket has the upper of Mackintosh again, and the lower half of thick Irish linen. This is the variant known as “Raw Yellow” and is generally considered to be one of the best. The combination of yellow and cream is quite superb. If you’re looking for one of these, see at the end of this page. Another Crazy variant, this time the Cameraman jacket. A few other variants exist as well. The most recent collection (SS13) gives us an all-Ventile variant, with taped seams, plus a slightly shorter variant called the Rangoon. The Rangoon has only 2 clips (whereas normally 3) and has a Ventile upper and a brushed cotton lower part. There’s life in the design yet! 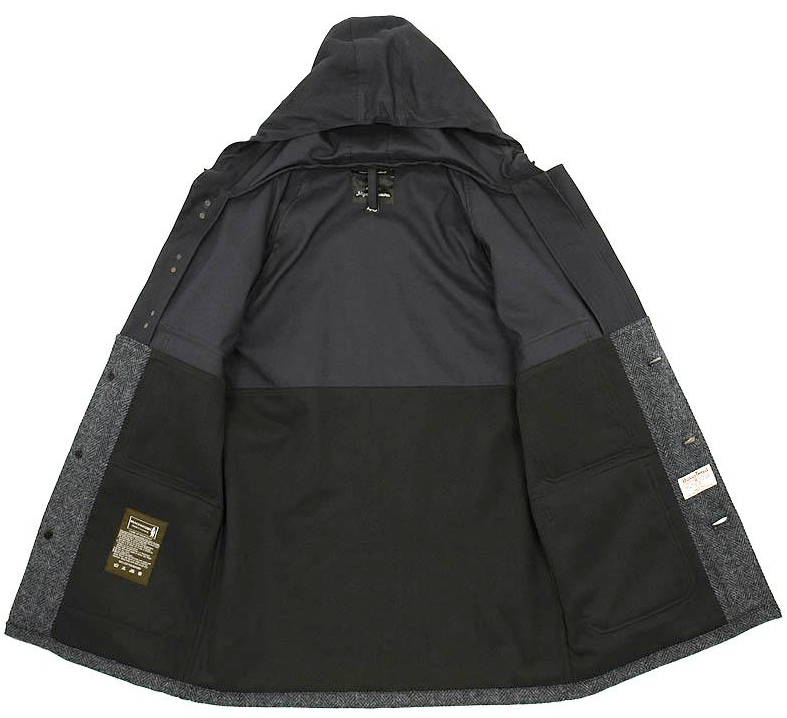 Personally I’m curious as to how the Ventile performs compared to the Mackintosh material, as the latter can become very clammy if you break a sweat while wearing the jacket. Rangoon Cameramanl with a shorter body than the regular version. 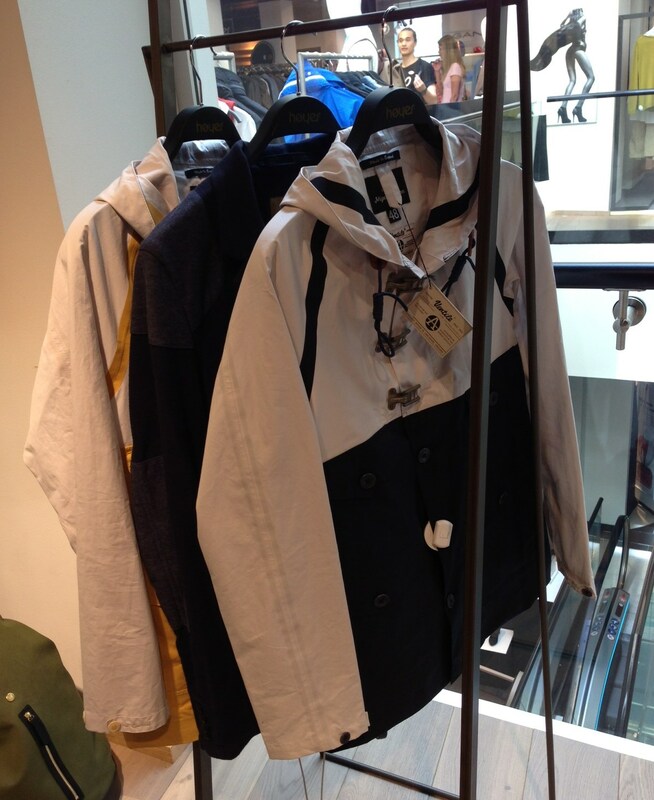 I spotted these Ventile Cameraman jackets (and a couple of Mallorys) at Høyer Eger in Oslo recently. Given that Nigel Cabourn is an unknown brand in Norway, this is a very rare sighting! All these materials are true British classics with a terrific historical background. If you get a kick out of knowing what your kit is made of, and the history behind it, you’ll really love this stuff. 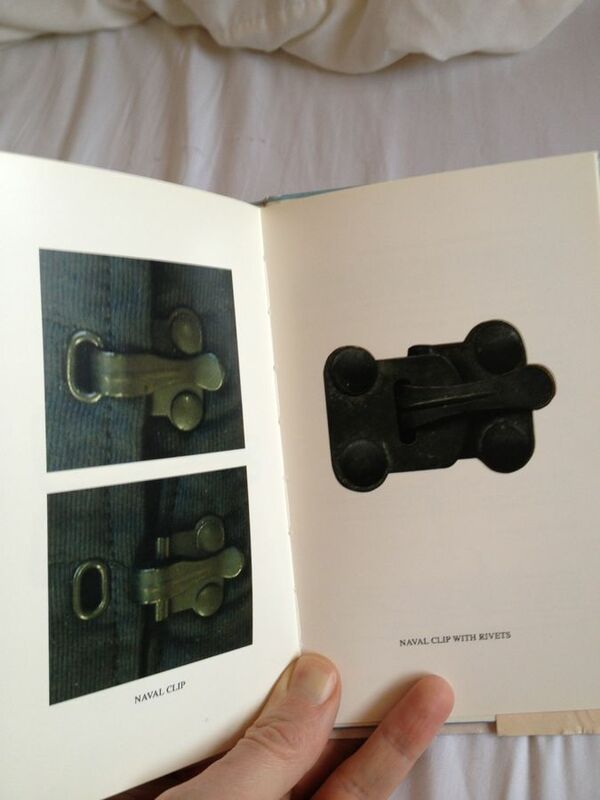 Just read up on the history of Ventile for starters. 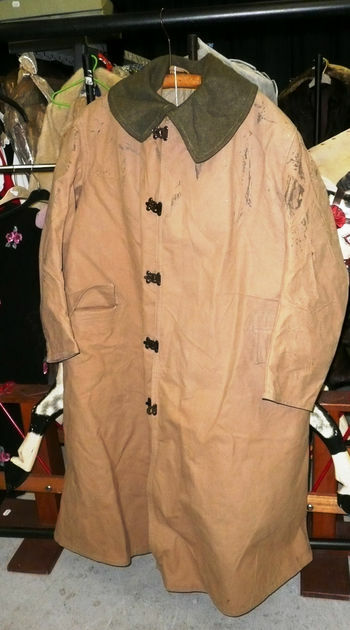 Another interesting factlet is that Mackintosh, the makers of the fabric of the same name, and widely used in the various Cameraman jackets, are the actual makers of the jacket. I don’t know whether this is true for the later variants that don’t use the rubberized cotton that is the Mackintosh material. 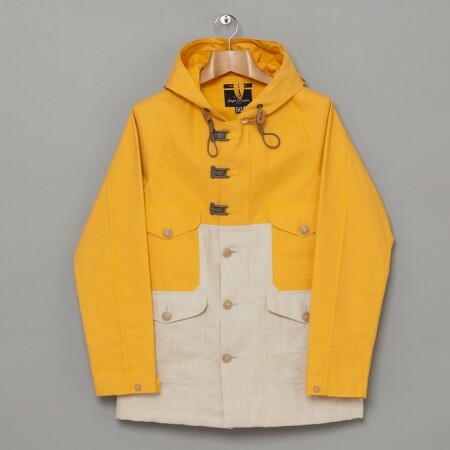 Add in the fact that all the Cameraman are made in very limited numbers (around 500 each season), made in Britain, with only British materials, and we have a part basis for the, not to be overlooked, high price of the jackets. Cameraman jackets tend to retail at around 1100-1200 pounds. Don’t be too put off though, as there is a lively trading in them on eBay and clothes forums. 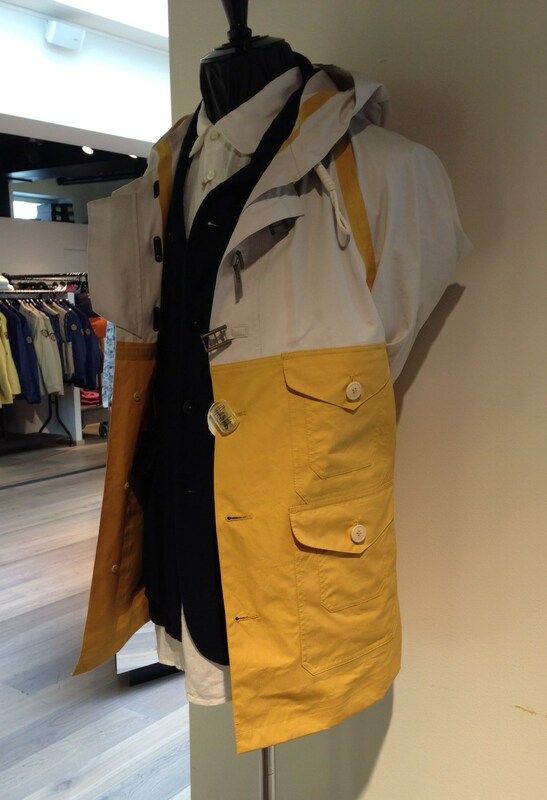 They can also often be found at the end of season sales, though there are relatively few shops that stock Nigel Cabourn. For the AW13 season there is a new Crazy Cameraman. I came across this fantastic photo taken by Dutch retailer USHOWU (now defunct, sadly). 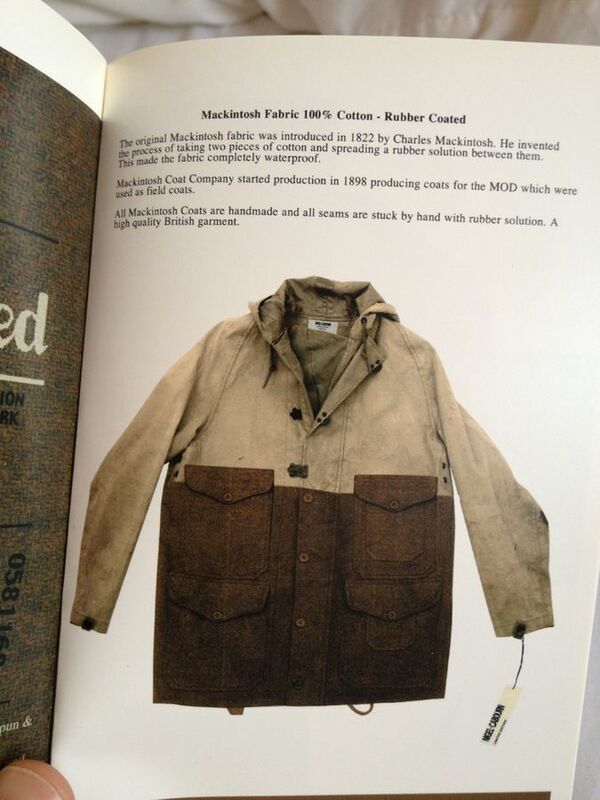 You might also like to read about Nigel Cabourns Mallory jacket! Iconic clothes often inspire fakes, read more about the Cameramanesque copies here. Thanks to Rob Noordhoek and Steward J Simon for help with this piece! Managed to pick one up in ‘Rockit Vintage’ of all places, couldn’t believe my luck. A compliment to NC that they considered it an actual vintage piece. Nice article WDD! Thanks, Holborn! You might like my piece on “Cameramanesque” jackets as well. Also my piece on the Mallory jackets. Nerdy clothing info at its best: I like it! 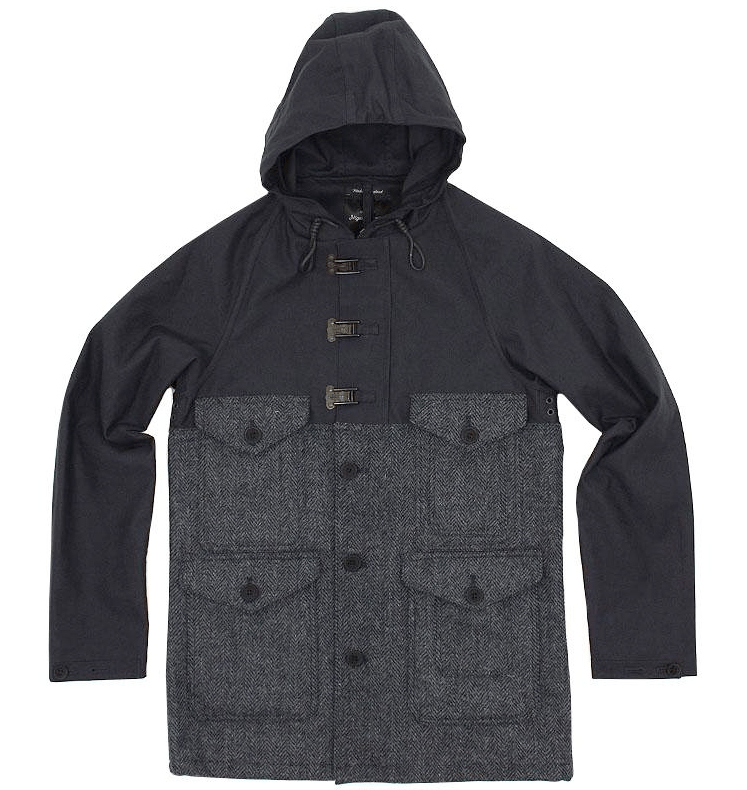 I also like the a lot of Mr. Cabourn’s stuff as well. Unfortunately even if I could afford it he doesn’t make cloths for 167cm tall guys. I’ve been meaning to look into sizing in Japan. In theory it should work since I’m about of average size for a man in Asia. That said, I do a lot of my shopping in Vancouver which has a large and stylish Asian community but have had only slightly better luck in finding nice things that fit. Luckily my shoe size is common though! 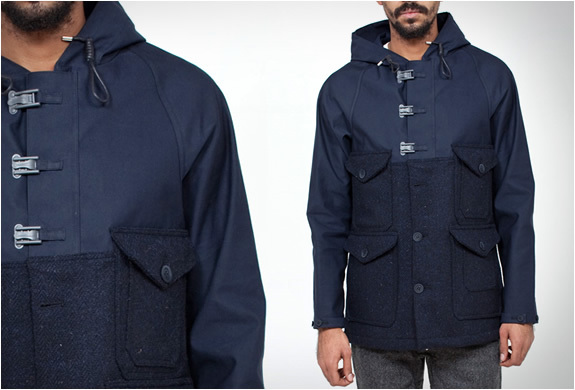 Only Cabourn made his many years before Realm & Empire existed!